With online marketing becoming the dominant way companies choose to market their products, a lot of businesses are overlooking the possibilities that come with more traditional approaches to marketing. This is a huge missed opportunity especially if you are a smaller local business who can have a hard time making it on the global market. This is why giving some effective offline marketing tactics a chance can do wonders for you. While it may sound outdated, trying some classic marketing ideas like billboards or printed flyers can actually prove to be a very good and effective marketing strategy, especially in your local community. However, in order to be able to fully utilise these methods, you will have to go a step further and try to do something that isn’t just plain and boring. For example, if you choose to try out flyers, you should look to be innovative and do something interesting and different. For instance, printing infographics, attaching discount coupons or just making sure that they stand out from the rest is a great way to make sure your flyers don’t just end up in the trash. When it comes to billboards, the same things should apply, you need to make a design that will be different and pique the interest of potential customers. However, since billboards are stationary, a good idea would also be to research the demographics in the areas you are thinking of putting your billboards in as it can give you valuable information and help you tailor them towards the targeted audience. You may like: Why Startups Need an Explainer Video? Giving away free things is a marketing strategy that companies have been using for years and with a good reason. The better the gift, the more impact it will have on your marketing, but even though giving away expensive things can work, the idea should be to give something that has more meaning and utility, something that people will actually find useful and use on a daily basis such as promotional umbrellas, power banks, and USBs. No matter what product you are giving away, the idea behind it is the same. When someone receives something for free, they are automatically going to develop positive feelings about you. This can lead to them taking up an interest in your company and becoming permanent customers; they are also quite likely going to tell their friends about you or just use the free product on a daily basis which is bound to draw some eyes. Having a good reputation in your local community can be a great way to boost your business. There are many ways you can go about doing this; for example, research shows that customers are 85% more likely to buy a product that is associated with a charity. This is even more true if it’s a local organisation that people really care about, so it can prove to be quite valuable to publicly endorse them, whether it’s by donating to them annually or organising a charity sale with a percentage of all sales going to the charity. You can also give back to the community in a more practical sense, like building a playground in the local park or you can try and become a sponsor behind some local events or a local sports team. You may like: How to Create an About Us Page For Your Business Website? Loyal customers are one of the most important elements of every successful business so it’s always a good idea to make sure they are happy as this can give you the ability to gain even more from them. For example, you can implement rewards based on the frequency with which they do business with you, by doing something as simple as punch cards with a free reward at every 10th visit. This will boost your company’s profits without you even having to bring in new customers, but will also make them like your business even more. Another great way to capitalise on this is to implement a referral rewards program into your business which will reward your current customers for bringing you new customers. 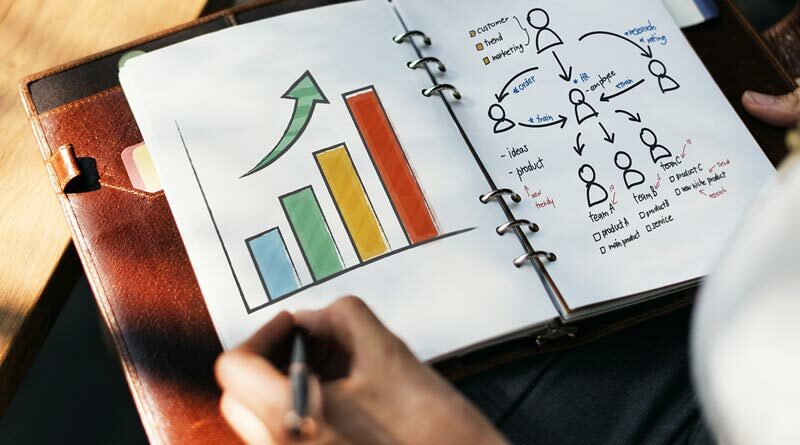 While investing in online marketing can be a good idea for every business, you shouldn’t skip out on the possibilities that come with offline marketing. The important things you should keep in mind, however, are that your marketing should try and reflect the true values of your business and that being innovative will always give you the advantage over your competitors. So while some of these ideas may not work for your business, it’s important to not give up and keep trying different things as gaining a strong foothold in your local community can give you the base from which you can later grow your business even further. Next Next post: What will the future of work actually look like with AI?